Ford Motor Company was in trouble even before that breathless September four years ago that sent the world economy searching for financial oxygen. But armed with a bold strategy and solid leadership, Ford survived the crisis, steering clear of both bankruptcy and government loans. And then as it released some of the new products it had in the pipeline, suddenly the company started making money and the blue oval was back in the black in a big way. That’s the story of how Alan Mulally and his ... See More team brought Ford back from the brink as told in the new book “American Icon.” Bryce Hoffman of The Detroit News spent two years engrossed in the culture that Henry Ford built and Alan Mulally arguably saved. 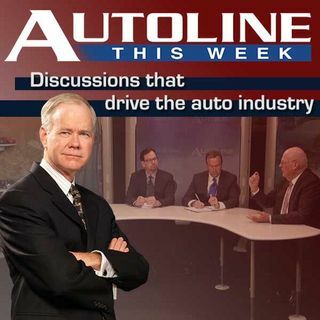 On Autoline This Week, John McElroy talks to Mr. Hoffman about “American Icon” and is joined in the discussion by Keith Naughton from Bloomberg News and Jim Hall from 2953 Analytics.